Have you ever thought about where your energy might be coming from? Well in some places such as El Salvador, and New Zealand they are using geothermal energy. In order for geothermal energy to take place a need for a large pump is required. This pump is known as a liquid ring vacuum pump. You might be wondering what a liquid ring vacuum pump may even be. Well, they are huge pumps used to transport water to and from. They are specifically designed for large jobs such as geothermal energy. Geothermal energy uses heat from the earth to create the power. It is known for being a very clean and sustainable energy. 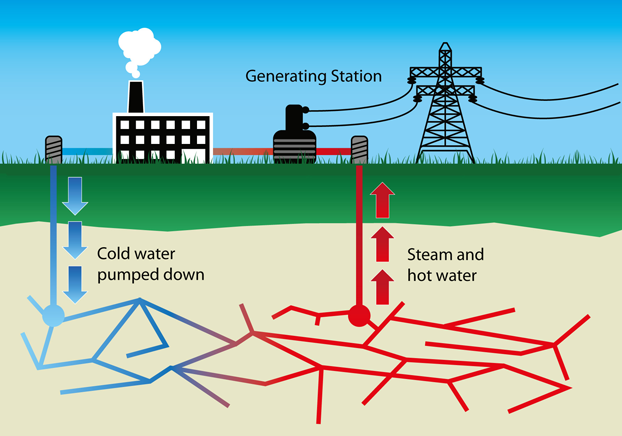 Often time’s geothermal energy uses hot water from below the ground. Other times they are able to get energy from hot rocks that are miles below the earth. Pumps, such as the liquid ring vacuum pump, are able to tap into this natural resource and use it to heat and cool buildings. The liquid ring vacuum pumps aid in the system that consist of a heat pump, an air system, and a heat exchanger. During winter months and cold seasons the pump removes the heat and pumps it into the building, and during the summer the action is reversed. In the United States most of our geothermal energy comes from places like Alaska and Hawaii. This is due to the hot water reservoirs that reside there. There are also a few western states that have the needed resources. Typically they drill wells into the underground reservoirs to generate the electricity. Some plants will only use the steam to power the turbine or generator. The liquid ring vacuum pumps have blades that are attached to a center hub with a cylindrical body. The pump requires liquid in order to create the vacuum flow. Before the process can begin the pump has to be fill partially with the liquid. This makes it a great candidate for jobs such as the geothermal energy. However, the liquid ring vacuum pumps don’t necessarily need water it can be another liquid such as oil, or a solvent. When the pump starts the liquid is slung to the outside walls of the pump by the impeller, causing a liquid ring around the outside walls. Some of the blades are then fully immersed in the water, or other liquid. The area without liquid is sealed off. The suction of the pump is created as the blades and the liquid act together to create different cells. This is a highly turbulent process and not as smooth as you may think. Nonetheless, it gets the job done quickly and efficiently. Geothermal energy is becoming more popular as it becomes easier to find the resources. The geothermal process cannot be completed without the work of the pump. Liquid ring vacuum pumps are a huge piece of machinery and are meant for huge jobs. Geothermal is one common occupation of the liquid ring vacuum pump, but they can be seen in other jobs too. Geothermal energy is a great clean way that we can produce sustainable energy. The vacuum pump is perfect for this kind of job and it’s incredibly important that they are installed properly. Liquid ring vacuum pumps are the key to a successful geothermal energy plant.